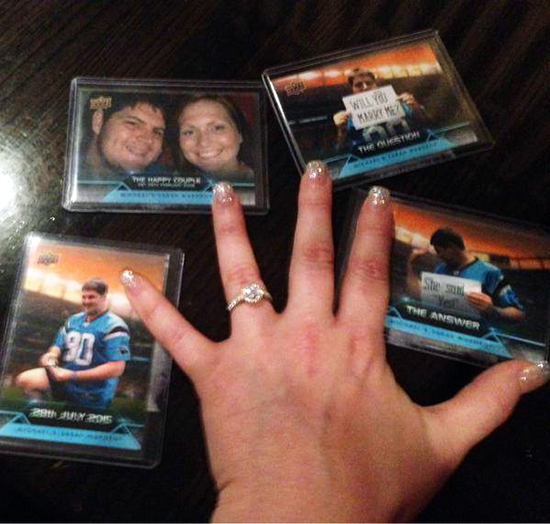 I got a message from Michael Wardrop who is a collector from Australia inquiring if Upper Deck could help him propose to his girlfriend (Sarah) using custom UD cards. 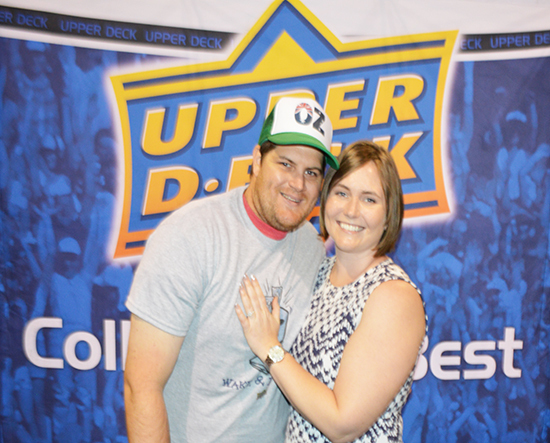 He was bringing her out to Chicago to check out the National Sports Collectors Convention and loved the idea of proposing here. 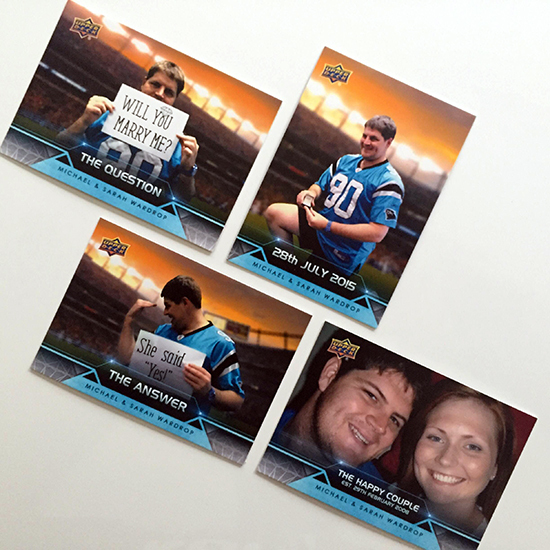 We set out to make it happen for him and after communicating over the last several weeks, we were able to get a custom set of cards produced featuring Michael as he wanted showing him in a variety of poses proposing to his girlfriend. That fateful day he took her to the observation deck of the Sears Tower, shared the cards with her and got down on one knee with ring in hand. Michael then shared this picture on Twitter. We were thrilled to get to see them at the National this week to congratulate them. We wish them all the best and for a wonderful life with each other! Special thanks to @topshelfbreaks and @sumbooth for their help behind the scenes making this happen as well! Here is Your Excuse to Get Out of Work to Open Boxes of 2018-19 NHL® Upper Deck Series One!